You are currently browsing the Denise Masino Blog weblog archives for March, 2012. At my feet…where you belong. My Artist friend Maxi knows what I like! My first night in the desert included time at a locals bar called the Palms. It just so happened that we rolled into town on the weekend of the wonder music festival. We caught two acts, the first being a group of 4 women playing a mix of musical instruments including the banjo, violin, bass guitar, and a washboard (you know the kind grandma used to wash clothes on). I loved watching these women jamming out to their own tunes and harmonizing to their own lyrics. My favorite song was “wild women don’t got no blues”. 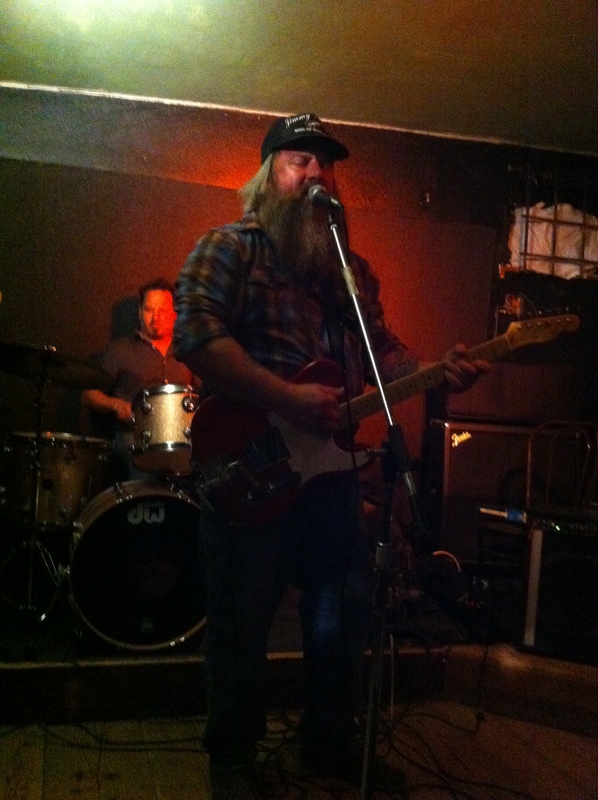 Next up was a ZZ Top look alike named Cliff Wagnor and his band, the Swamp Coolers. The music was fantastic, I loved Cliff and his band, and, after a few beers I was right at home in this 29 Palms neighborhood bar filled with women in prairie dresses, blue jeans and t-shirts. The men mixed it up with flannel shirts and baseball caps, but the coolest cats looked like they belonged in their own ZZ Top band or should have been a part of the new reality TV show Duck Dynasty. I’m just now getting back on track from my weekend in Columbus, Ohio for this years Arnold Sports Festival where I spent time at the Muscle Pinups booth with friends and fans alike. It was another great reunion filled with extraordinary performances from athletes who competed in a wide variety of events from all over the world. These are just a few pictures of the fun we had at the booth with our dear, dear fans and friends Lisa Cross, Amber Deluca, Amber Steel, Cassandra, Alicia Alfaro, Elisa Costa and Denise Masino. More images and video to come.